The “bulletin board” saga continues from the original post, for ease of reading, now after two years of filling in the holes. Atomic Agent Oswald leaves off in the detailing of the 1959 defection of Robert E. Webster, employee of the Rand Development Corporation of Cleveland Ohio, described as a CIA front. Robert Edward Webster* defected to the USSR on Saturday October 17, 1959, allegedly at a meeting in the American embassy of Moscow accompanied by his “employers” H. James Rand and George H. Bookbinder –however– according to E.J. Epstein’s chapter notes in Legend, Webster defected under duress from a Soviet police station by handing over a written statement. Webster’s so-called defection came one day after Lee Oswald’s arrival in Moscow on the 16th. There was commotion at the embassy that day, the 16th, when “Russell A. Langelle, the chief security officer in the Moscow embassy, was charged with espionage, declared persona non grata.. [after being]‘kidnapped by five unidentified Russians’ who had then threatened him and his family and tried to blackmail and bribe him into becoming a Soviet espionage agent.” p277, Mole, by William Hood,1982. –the Langelle story appeared in the New York Times Oct. 18. “…Langelle returned to the United States on 25 October…” p280, ibid. Six days later on Saturday 31 October, exactly two weeks after Webster, Lee Harvey Oswald entered the embassy to announce his defection. No record yet indicates the presence of additional people from Rand Development or the Commerce Department during Oswald’s defection. Dr. ‘Randy’ Lovelace* appointed in 1958 to become NASA’s chairman of its Life Sciences. Later in April of 1964, LBJ invested Lovelace as NASA Director of Space Medicine, a post he held for barely 8 months until dying in a small plane crash with his wife and pilot. 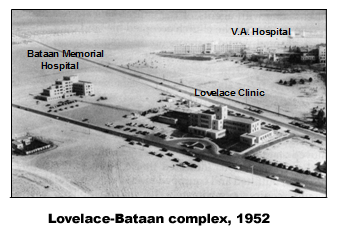 The Lovelace Foundation, research arm of the clinic, housed and tested U-2 pilots and astronauts for the government looking for The Right Stuff. The foundation was created in 1947 when, after losing two sons to polio, Lovelace left his job as Chief of Surgery for the Mayo Clinic and moved back to New Mexico. He hired Dr. Clayton S. (Sam) White to run the foundation on the “Mayo model”. Dr. White pioneered the AEC contracts, which included nuclear blast effects on humans and the creation of the Fission Products Inhalation Project. The Lovelace Foundation gained extra space for its sophisticated atomic experiments and simulations at Kirtland Air Force Base, home to the Sandia Corporation. 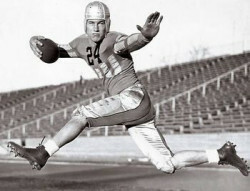 Dr. Sam White’s adoring younger brother Byron was at that time making his mark in the world of football and law, and in 1960, Byron R. White became the Colorado manager of the JFK for President campaign. 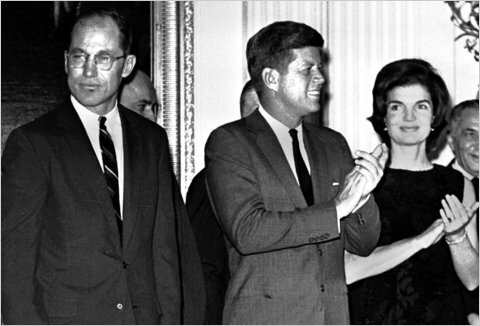 JFK rewarded Byron White by appointing him Deputy Attorney General of the United States, under brother Bobby Kennedy. The friendship between them dated back to their college days when White met the Kennedy family in London while he was preparing to enter Oxford as a Rhodes Scholar. During WWII as an ONI officer, White wrote up the report on JFK’s PT109 incident. Here possibly was an inside track for the Kennedys to get information about nuclear testing, fallout, and a potential back- channel to the Soviets. Medical technology was listed as the principal commodity of the Atoms For Peace program when the government distributed its manuals in 1956, a broadly defined field already in advanced development. To this day, the standard history of polio omits a causal relationship with radiation. A famed collaboration to produce a global polio vaccine was well underway with the Soviets by 1958. “On August 21, Robert Kennedy asked McCone if the CIA caould stage a phony attack on the American military base at Guantanamo Bay as a pretext for an American invasion of Cuba. McCone demurred. He told John Kennedy in private the next day that an invasion could be a fatal mistake. He warned the president for the first time that he thought the Soviets might be installing medium-range ballistic missiles in Cuba. If so, an American sneak attack might set off a nuclear war. [p222] He advocated raising a public alarm about the likelihood of a Soviet missile base. The president instantly rejected that idea, but he wondered aloud whether the CIA’s guerillas or American troops would be needed to destroy the missile sites –if they existed. At that point, no one but McCone was convinced that they did. 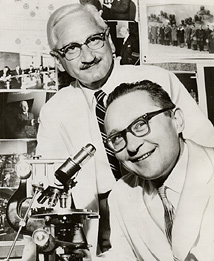 * Albert Sabin and Victor Zhdanov in 1958 * Governments have concealed the spread of polio (brain infection) occurring with nuclear industry, including x-ray use and electronic RF. Not surprisingly, Oswald’s concealed New Orleans milieu was rooted in activities of cancer and polio. “Webster’s window” in the USSR may have been similar, whether or not Webster himself was any more than a diversionary defector, a “double dangle.” It is inherent in the study of radiation injuries to encounter cancer and polio. The source on Rand Development’s product sharing with the Soviets appears to come from the Mankind Research Unlimited Inc.’s bio-sketch on Christopher Bird. MRU and its fundraising foundation MRF were not incorporated until 1973, but Bird’s professional relationship with Rand dates from his years “after military service”, about the same time that he became the assistant of Cleveland industrial-financier Cyrus S. Eaton for the purpose of organizing the international nuclear disarmament conferences known as ‘Pugwash’, held first in July of 1957. Eaton sponsored and hosted not less than three Pugwash conferences between 1957 and 1959. The extent of Christopher Bird’s involvement with Eaton and Pugwash is not yet known. 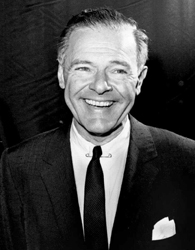 Cyrus Eaton, who got his start in working life during school summer vacations on the estate of John D. Rockefeller, made many trips to the USSR including a reception to receive the Lenin Peace Prize in 1960. 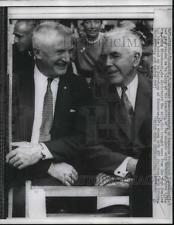 Eaton made his first well-publicized ‘peaceful trade’ business trip to the USSR in August of 1958. Peter Tompkins’ WWII/OSS partisan resistance fighter networks in Italy, Corsica, Sicily, and North Africa were largely assumed by James J. Angleton who became the OSS/CIA station chief in Rome. *Rand at 1957 press conference holding electron microscope image of viruses. Did “Dr. Henry Rand” participate in the “vaccine diplomacy” of the Sabin/USSR polio campaign? Is this the genesis of Rand’s future cancer vaccine? Ultimately, the vaccine question is if the polio/cancer combination was a nuclear battlefield prophylactic to radiation-harden humans. The same protocols, if successful, had applications for nuclear-powered aircraft, bomber pilots, and deep space travelers. The CBW Pugwash conference of 1959, hosted by Eaton and assisted by Bird, was organized by Dr. Martin M. Kaplan, a Philadelphia veterinarian who became the chief of medical research for the World Health Organization. In 1955, Dr. Kaplan and his colleague from the Wistar Institute, the controversial Hilary Koprowski, spent time in Kenya teaching the locals how to make ‘primitive’ laboratory vaccines. Koprowski was also competing at the time to make a universal polio vaccine and later became embroiled in his own defense over charges that his African lab work was the origin of AIDS. Christopher Bird may at least be a key to Rand Development and the activities of H. James Rand. A deeper association of some kind between Rand and Lovelace Foundation is confirmed in the sanitized “papers” collection of Floyd B. Odlum, chairman of the Lovelace Foundation and owner of Atlas Corporation who oversaw a uranium mining empire. see personal correspondence item section #9 on page 13 of 105: “James Rand”–this could be either father or son, but coincident with the Lovelace Foundation’s collaborations with the Atomic Energy Commission and National Institutes of Health in the 1951-1953 time period. Also of note in this immediate subsection of Odlum’s papers are “scientific psychic studies” which recurs with specificity from this point onward. *** Odlum specialized in the financial investor-funded acquisition, reorganization and merging of companies in the great wave of mega-corporations that arose in the first decades of the 20th century. He owned Consolidated Vultee Aircraft –Convair– when it won the contract to build the first nuclear-powered aircraft. “In 1955 a gift of 320 acres of land from the city of San Diego helped [John Jay] Hopkins to establish the General Atomics Division. In collusion with the City Council, Hopkins was instrumental in persuading the Regents of the University of California [contract operators of Los Alamos weapons lab] to establish a ‘scientific and technical’ branch at La Jolla.” http://www.sandiegofreepress.org/2016/07/general-dynamics-san-diego/ The University of California San Diego was born. Further offspring soon joined the complex as the Scripps Institute of Oceanography and Salk Institute of Biological Studies. Rand’s wife, Martha Osborne Rand,was employed by Bonwit Teller, a women’s quality apparel store in New York, bought by the Odlums/AtlasCorp in 1934 and personally managed by (ex-) Mrs. Odlum for the next fifteen years. Other questions raised above have suggestive answers in the environment of Cleveland, the Cleveland Clinic, Case Western Reserve University, the Case Institute of Technology, and the Pugwash collaborations of Bird and Cyrus Eaton. Case Western Medical hired Frederick C. Robbins in 1952 who shared the 1954 Nobel Prize in Medicine for groundbreaking work on the isolation and growing of polioviruses, making the Salk and Sabin vaccines possible. Rand had a working relationship with Case Medical personnel, in at least one instance resulting in a successful product in 1947– a heart defibrillator co-developed with Dr. Claude S. Beck who was also hired in 1952 by the University. Dr. Robbins, incidentally, after retiring as the medical dean in 1980, worked on special tasks for the U.S. government which included becoming chairman of NASA Life Sciences Strategic Planning Study Committee during Reagan/Bush. To say that Robbins was well-connected in the nuclear establishment is an understatement. His father, William Jacob Robbins, was a renown plant physiologist, Director of the New York Botanical Gardens and laboratory, and longtime operative of the Rockefeller Foundation. The elder Robbins’ annual fishing buddies counted among them Karl T. Compton of MIT (native to the Cleveland area) and Jerome C. Hunsaker, a titan of aviation and director of NACA, NASA’s predecessor. All had worked for special projects of the Atomic Energy Commission. Frederick Robbins brother, Daniel Harvey Robbins, was a vice-president of Itek Corporation and optics engineer contributing to classified camera work for the CIA, used in the U-2, Corona, and subsequent spy satellites. Case Technology employed T. Keith Glennan, who became an AEC Commissioner in 1950, returned to Case after his term and became the first chief of NASA in 1958. 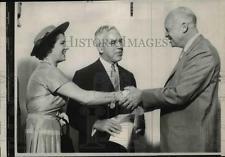 Glennan was the head of NASA when H.J.Rand and Bookbinder were escorting NASA’s top medical man around the USSR. Floyd Odlum and his second wife, aviator Jacqueline Cochran, were also traveling in Russia in this time period, extending over the defections of Webster and Oswald. The operating founders of the Cleveland Clinic, the Drs.Crile, father and son, lived next-door to Rand. James H. Rand III bought this ‘sanitarium’ and hotel in 1934 (his approx. 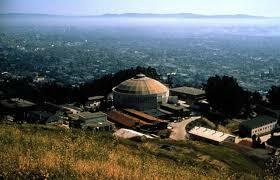 age 22) and renamed it Ohio Institute of Oxygen Therapy, used for research and closed down two years later. 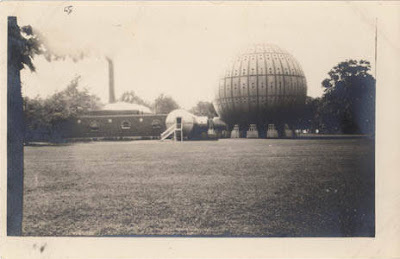 The hyperbaric steel sphere was later dismantled for scrap in the war effort. “Oxygen therapy” was precisely the shared interest of Dr. Randy Lovelace and Dr. Sam White which brought them together as colleagues and friends. Taking the suggestion from Gary Hill that Webster and Oswald were controlled by the same Forces, namely Rand Development Corp. providing oversight of both defectors, a relevant timeline [to be posted] emerges full of possibility. Added to the timeline activity is an even greater resource from the legacy documents of Cyrus S. Eaton: the Eaton Papers at the Western Reserve Historical Society. Cursory perusal of the collection presents nearly every contextual element supporting the Atomic Agent Oswald framework described here. ….Eaton, Bird, Odlum, Rand and Bookbinder… all possibly Webster’s defection ‘managers’. Were they Oswald’s managers, too? One can generate narrative from the Eaton Papers folder listing alone, regardless of the content of those folders. The plethora of related “groupings” cannot be coincidence. Below is a brief example of one grouping which can be expanded from the same folder list and journalist sources. The vignettes above are but a subgroup that can be drawn from a larger group including Box 352, folder: U.S. Rubber Company, 1928-1965. The U.S. Rubber Co. was purchased by W.A. Harriman and Co. in 1928 which promptly installed Prescott Bush as its international sales executive. U.S. Rubber sponsored an array of intelligence activity within its extensive reach. This grouping can also include Box 294, folder: Slick Airways Inc 1956-1972., owned by Texas oilman, adventurer, and CIA operative Tom Slick who also sponsored MK-Ultra programming. Perhaps it suffices to demonstrate that Eaton’s business, and the legacy of his document collection, was an extension of the Anglo-American intelligence establishment. Perhaps it is emblematic of the FBI and AEC to secretly share their joint responsibility for global nuclear security intelligence –withheld even from the U.S. intelligence community at large . Readers of Atomic Agent Oswald are familiar with the collaboration of the FBI/AEC “dual agent” program (1949-1964), mediated by the FBI’s Charles Bates between the principals, J.Edgar Hoover and Lewis Strauss, and among the erstwhile agents. No remnant of the publicly available declassified file covers the period from 1954 to 1964 (file closed Sep30, 1964) as the world witnessed new international trade in atomic technology. ***Here’s an example of that trade in hindsight: “[I]n 1957, as part of the Atoms For Peace program, Washington had the components for a TRIGA Mark I reactor delivered to [the Belgian] Congo. This compact facility was made by..General Atomic and installed by on-site Belgian technicians. It went operational in 1959 ..[and was] hailed..as a symbol of progress in Africa…[even as] the young nation quickly descended into civil war and chaos… Twenty years later, one of the fuel rods suddenly turned up in Italy. Smugglers offered the uranium, which was at least 20-percent enriched, to what they thought were buyers from the Middle East– in reality agents of the Italian police’s Central Investigating Service… [A]uthorities apprehended twelve people, all of them members of the mafia…” pp154-155, A Short History of Nuclear Folly, by Rudolph Herzog, 2012. ……So, what was jurisdictional to the FBI and AEC regarding economic warfare policy in commercial trade? 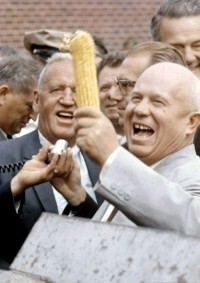 Roswell Garst (left foreground) offered hybrid corn to the USSR in January 1959, and again for the cameras on Krushchev’s goodwill tour of the U.S., September 15-27, 1959. The Russians wanted industrial chemicals and steel. As far as U.S.-USSR atomic relations were concerned, 1959 was an historic breakthrough year under the sway of a nuclear test moratorium. On September 15, after the closure of Moscow’s American National Exhibit, Nikita Krushchev and entourage flew to Washington for a 12-day visit. The first order of business on that day was a Krushchev meeting with Eisenhower and a separate meeting of the Soviet atomic energy chief, Vasily S. Emelyanov, with the AEC’s John McCone. The same day in New Orleans, from the premises of the Int’l Trade Mart, Lee Oswald was booked on a freighter to Europe. 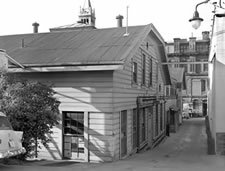 “Webster…disappeared on September 10, 1959. Upon returning to the United States, Dr. Rand, Webster’s employer, reported his disappearance to the State Department, and the U.S. Embassy in Moscow wrote a note to the Soviet Foreign Ministry requesting information on Webster. When he had received no reply regarding his former employee by October 14, Rand returned to Moscow. On October 17 [Rand] and Richard L. Snyder of the American Embassy obtained an interview with Webster who had been brought to Moscow from an undisclosed address in Leningrad, then handed Snyder a signed statement renouncing his United States citizenship… He told Snyder that he would send him his American passport as soon as he returned to Leningrad. 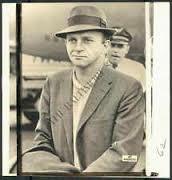 (According to the CIA defector list, Webster handed Snyder his passport on October 19, 1959. )” p291 (Notes) Legend, ibid. If the Legend notes are accurate and Webster surrendered his American citizenship at a police station and then left the city –for a month-long vacation with his girlfriend, as it stands– avoidance of the U.S. Embassy may have preserved his anonymity with embassy staffers. If the embassy needed to write “a note to the Soviet Foreign Ministry requesting information on Webster”, what didn’t they know? Is it possible that Robert Webster assumed the identity of Lee Oswald at this time to make a record of Oswald’s pre-defection activity in England, Sweden and Finland? According to Mark North in Act of Treason: “On 6/3/60 Hoover sent a memo to the State Department entitled ‘Lee Harvey Oswald, Internal Security’ in which he stated ‘Since there is a possibility that an imposter is using Oswald’s birth certificate, any current information the Department of State may have concerning subject will be appreciated.’ The [birth] certificate had disappeared in New Orleans around the time of Oswald’s defection to the Soviet Union.” p57, Act of Treason, by Mark North, 1991. In addition to later statements from Marina that her husband worked for the American exhibition, there is a more direct reference in Legend that suggests Webster was using Oswald’s name: “The close coincidence between the movements of Oswald and Webster, as well as their not dissimilar physical appearance, possibly accounts for a number of mistaken identifications. Fritz Dieter Jaeger of the German Merchant Marine told the FBI in 1963 that he had met Oswald in Leningrad in 1961 and gone to the movies with him. It turned out that he had met Webster.” p.292, ibid. September 10 or 11 — Webster ‘disappears’, reportedly last seen at a party attended by KGB to celebrate his defection. September 15 — Krushchev, Atomic minister Emelyanov and entourage arrive in Washington D.C. for a goodwill tour. Oswald visits his brother’s family. September 17 — Krushchev advises Ambassador Lodge, on the subject of nuclear test cessation, to ‘get intelligence operators into the Soviet Union.’ Later the same day, Oswald books an ocean passage to Europe on the S.S. Marion Lykes. He registers at the Liberty Hotel –his birth certificate is stolen, according to the FBI. September 21 — Webster is granted a Soviet passport. Over the course of the next two weeks, Krushchev returns to the USSR and a U.S. Atomic Energy delegation headed by John Alex McCone arrives in Moscow. October 11 — McCone and company ‘leave Moscow for Leningrad’. Webster is assumed to reside in Leningrad. October 14 — H.J. Rand, from the U.S., reports his former employee Webster is missing. Rand arranges travel to Leningrad. October 18 — Webster and KGB girlfriend/co-worker leave together for a one month vacation in Sochi. Oct. 17-19 — Oswald makes his first ‘attempt’ to defect. On Oct. 20, he is called to a meeting by Soviet authorities about defection. 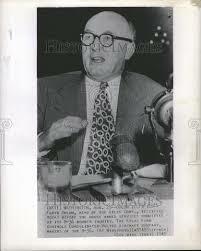 AEC chief McCone’s official atomic exchange visit with the Soviets in October of 1959 presents a remarkable intrigue for coinciding with the Webster/Oswald defections.Had they revived the FBI/AEC Dual Agent program? Is this a display of coordinating the “same forces” controlling both men? 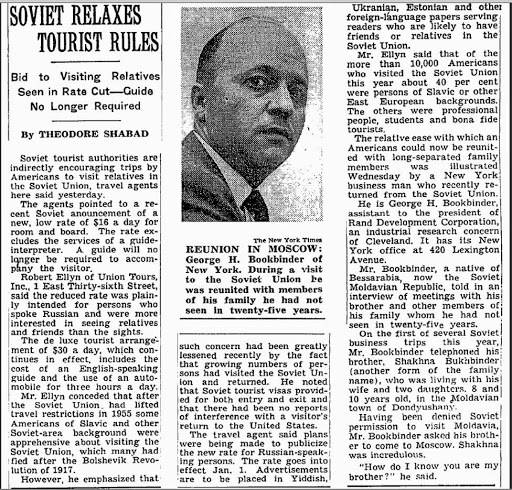 The background of this timing plays out amidst thousands of professional ‘exchange’ visitors and tens of thousands of tourists crossing the Atlantic between the U.S. and USSR, not to mention visitors and defectors from other countries. The Lacy-Zaroubin Agreement signed in January of 1958 formalized a negotiated minimum of professional visitors; from scientists to ballet dancers to film crews and students. Ruth Paine is associated with a 1958 exchange student effort from the anti-nuclear Society of Friends in Philadelphia. Mind-control theme research from the guests and hosts of gnosticmedia.com relate that George DeMohrenschildt co-operated the Russian Student Fund with CIA- affiliated anthropologist R. Gordon Wasson. In this 2015 ‘report’ by David Robarge, published by the CIA’s own Studies on Intelligence, is noted that “Mr. McCone withheld evidence the CIA secretly monitored Oswald’s mail after he attempted to defect… [and] it suggests the White House may have directed him to hide the information.” It just doesn’t say which White House. Bechtel, the family held corporation, boasts today that “We have designed or built more than half of the nuclear power plant construction projects in the U.S. and provided services on 88% of them over the years.” And this just for the U.S. The relationships making this possible revolve around McCone and date back no later than the early 1930s when the former UCBerkeley schoolmates, John McCone and Steve Bechtel, reconnected with each other in 1931, according to McCartney. 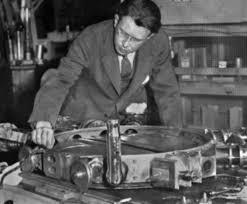 Left out of ‘Friends’ is McCone’s early sponsorship of Ernest Lawrence and the Berkeley Rad Lab –the man and the lab that hired-on physicist Luis Alvarez in 1936. Alvarez’s sister was Lawrence’s devoted secretary. Luis Alvarez gave his approving imprimatur to the Warren Commission, the altered Zapruder film, the “shots from behind” and “single bullet” theories of the JFK assassination. Also missing from ‘Friends’ was the ownership of Joshua Hendy Iron Works by nuclear reactor builder and supplier Westinghouse. It was up to McCone as chairman of the Atomic Energy Commission, expressly selected, to carry on the work of his predecessor, Adm. Lewis L. Strauss, and preside over the moratorium and disarmament goals of the American president. 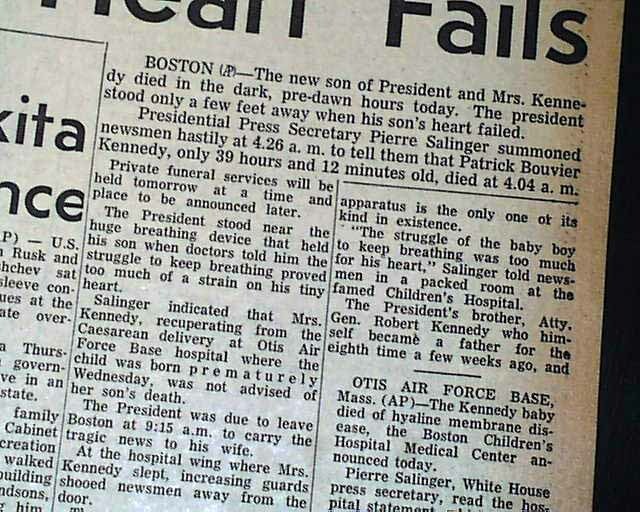 Patrick Bouvier Kennedy, who was born August 7, 1963 and died 2 days later on August 9, may in hindsight be the most famous fallout baby ever born. His older brother John had a mild case of the same disease, hyaline membrane disease, which is since called Respiratory Distress Syndrome (RDS). The tragic irony in Patrick’s death was that it coincided with two landmark events in atomic history; the anniversary of the plutonium bomb dropped on Nagasaki and the confirmation of the Limited Test Ban Treaty achieved by his father. Dr. Ernest Sternglass wrote, “The largest numbers of deaths among the newborn infants were caused by asphyxia or respiratory distress, including hyaline membrane disease, long known to be associated with immaturity, and also general immaturity and ‘crib death.’ These were the very causes that had risen sharply all over the world during the period of nuclear testing and had only begun to decline again a few years after the test-ban treaty came into force.” p.127, Secret Fallout, 1972, by Ernest Sternglass. “It is a large and difficult task to perform quality control on sizable databases such as those used to produce the monthly reports on radiation and vital statistics… Nevertheless, the case presented [in Deadly Deceit] thus far suggests nothing less than a conspiracy perpetrated against the health of the American people. “…The most disturbing explanation, but unfortunately the most convincing one, is that there has been a conspiracy orchestrated from the highest reaches of government and begun in the early days of the Cold War.” pp 89, 91 ibid. A careful look into present planning for the 21st century indicates that little has changed –the industry still intends to build a thousand nukes only now the selling points are “clean” and “green”. *In Silent Spring, published in 1963, Rachel Carson wrote “The most alarming of all man’s assaults upon the environment is the contamination of air, earth, rivers, and the sea with dangerous and even lethal materials… in this universal contamination of the environment, chemicals are the sinister and little-recognized partners of radiation in changing the very nature of its life. 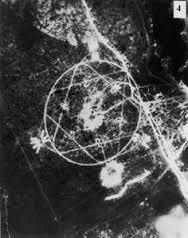 Strontium-90, released through nuclear explosions into the air, comes to earth in rain or drifts down as fallout, lodges in soil, enters into the grass or corn or wheat grown there, and in time takes up its abode in the bones of a human being there to remain until his death.” p97, ibid. Why Were Monkey Viruses in Polio Vaccines? The answer to that question usually comes back: because monkey kidneys were used for growing the vaccine cultures. But we should consider that the monkey viruses were more “insult” than “injury”. By 1951, the military medical researchers had fast-acting, aggressive cancer cells from a cervical tumor produced by a tobacco worker, Henrietta Lacks. It’s not insignificant that Ms. Lacks handled tobacco –a known source of ‘added’ polonium, one of the first isolated ‘daughter’ isotopes of radium, and considered deadlier than plutonium. Her cells were named for her, “HeLa”, and disitributed to priority laboratories where cultivation techniques were rapidly undertaken. Leo Szilard, Einstein’s close associate and a “Father of the Bomb”, personally assisted in devising irradiation methods for growing HeLa cells on which to grow polioviruses! The polio vaccines were supposed by the US government to prevent neurological radiation illness. They would have needed to also prevent cancer. Was the polio vaccine secretly ‘double-billed’ as an anti-radiation drug to combat both polio and cancer? It was designed, however, to do neither. Vaccination for the purpose of provoking “active immunity” installs the disease it purports to prevent, bypassing and subverting the regulation of the brain. The monkey viruses are a devilish “tag”, allowing subsequent researchers to follow the course of cancer and disease initiated during the era of nuclear Fallout. A ‘new normal’ on the disease Front was taking place and a population tracking method in the form of identifiable DNA would help define a statistical baseline for the new era of chronic disease. To be certain, General Stanhope Bayne-Jones of the Armed Forces Epidemiological Board announced to the New York hospital association in 1949 that chronic disease was our future. Any foreign DNA incorporated into the human genome presents a risk for excess cancer, inducing a genetic destabilization, and radiation all by itself “reassorts” genes and raises the risk. If we were truly healthy and not subjected to a century of disinformation about biology and nutrition, our bodies would be adapting and eliminating aberrant cells. But our poor exhausted immune systems face only the increasing onslaught of destabilizing chemicals and radiation. These are the real causes of modern diseases. Injectible vaccines are going the way of the dinosaur. Public opinion has rallied against them. Fake pandemics are becoming exposed. …and ‘they’ are ready for this shift. Biophysical engineering of food and commodities now deliver not only the vaccines of the future, but have us swallowing the ingredients of nano-microprocessors. The age of the soft machines is here. Disturbing statements made by Judyth Vary Baker, who worked on the secret ‘cancer-weapon’ under Alton Ochsner and Mary Sherman, suggests that SV40 was intentionally recombined with human (HeLa cell?) DNA to make it lethal. Was this “hybrid” SV40 in polio vaccines? In a reversal of the proposition put forward by Ed Haslam in “Dr. Mary’s Monkey”, was monkey tissue chosen initially because it was more compatible with humans and therefore deemed noncancerous to humans? Along with J. Steven Simmons and Francis Blake, Bayne-Jones hand selected the medical scientists who created the Armed Forces Epidemiological Board. Yale alum, Dr. Thomas Francis, mentor to Jonas Salk, was the committee’s first choice. Francis and Salk maintained a working partnership to produce influenza and polio vaccines, both ‘master’ diseases caused by radiation and chemicals. 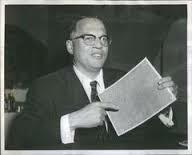 According to the biography snip in the link above, in 1964 Bayne-Jones “was chosen as one of the ten members of the U.S. Surgeon General’s Advisory Committee on Smoking and Health, which issued the famous Surgeon General’s Report in 1964 that linked smoking to cancer.” Successful negative advertising has pushed the public away from inquiring about the manipulation of tobacco, however, the issue of polonium and the specific case of Henrietta Lacks points to earlier experimentation in the “health physics” model of creating a surreptitious sub-population of human guinea pigs. …for now, that’s another story for another day. In 1988, the World Health Organization announced its intention to wipe the disease of polio off the face of the earth. This great ‘hidden’ scourge is as infectious as cholera, they claim, creating 199 ‘carriers’ for every unfortunate victim. Third World nations, poor and unsanitary, have no chance against The Crippler without the interventions of the West, for the West has conquered polio. If not for human ignorance, we would all be polio-free. The dimensions of polio eradication ceased long ago to be a battle against disease. Yesterday and today, it is the ongoing crusade of the Light against the Darkness; Science against Superstition, Love against Fear. Our greatest modern-day philanthropists launch billions in private funding for polio’s final solution. For those of us unaware of the Epic struggle against poliomyelitis, the forces of Light take full credit: to the newest generations of North Americans, Europeans and Australians “polio” is simply the name of a vaccine. Perhaps nothing in medical experience is more inside-out and upside-down than the story of polio. I’ve come to think of it as the greatest “dirty little secret” of all time. In the present decade, mothers in poor countries grab their children and flee from the vaccinators. The rest of us line up. One way or another, polio is a sure thing. Sure, you have polio. It ‘lives’ inside you, has a thousand names and faces, and someday you’ll see it reflected in your own face. It looks like ‘old age’ and it feels like hell. That’s if you’re lucky. In the 1870s, pioneer neurologists learned that poliomyelitis infected the brain and dissolved the nervous system. No one had yet discovered it could be a virus. The famous case of the “French patient”, a young man with a withered arm, relapsed his way into medical history and left a legacy of physical damage that fascinated his observers. No accounting was made for his childhood bout with paralysis, but his laboring job in a tanning mill pulling heavy sodden hides from vats of acid left little doubt of his degeneration. He was 19 years old. Polio was a slow poisoner that robbed its victims senseless and by 1900, every informed international medical specialist knew it. Early Victorian outbreaks of polio all occurred in areas of concentrated environmental pollution from farms or factories. As industrialism spread so did polio. Children were its most numerous victims, though they nearly always recovered after a running course of flu. Even when paralysis set in affecting the legs, most children recovered. However, the great polio epidemics before World War One saw a change in this strange and obscure affliction. Instead of a slow unraveling or a flu, polio turned into a thief in the night and thousands began to die unable to take a breath with unresponding lungs. Polio, infantile paralysis, was a killer of babies. The Rockefeller Institute declared it was caused by a virus, and one man, incredibly, had charge over the fate of polio research. 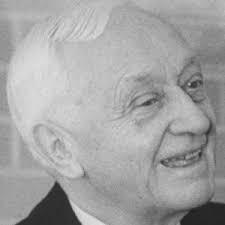 That man, Simon Flexner, became a high priest of chemobiology, modern medicine’s holy-of-holies. His brothers, Abraham and Bernard, took the cowl for education and law. Together, and with the help of like-minded ministers around the globe, a new paradigm of public health was forged and forced upon the unsuspecting. In secret, polio was born anew, offspring of the dual poisons of chemicals and radiation. In time, it was cultivated to infect any creature with a nervous system and no human tissue could resist colonization. When the world was at its most ready and vulnerable, blanketed in nuclear fallout and brazen with victory from the first great Moral War ever fought, the “canonized” Jonas Salk led the medical infantry to the new front lines. Saint Salk and Saint Sabin, counselors to presidents and prime ministers, carried the new standard. Vaccines for everyone, needles and sugar. Children were chided to be brave and disregard their natural impulse to resist the syringes or, for once, they were encouraged to take candy from strangers. All part of being inside-out and upside-down. What became known in the press as “provocation polio”, induced by inoculation, was consigned to masterful PR which turned an unprecedented vaccination disaster into a triumph; scapegoats were found, guilt assigned, and faith restored. During the Cold War, it made anything seem possible, even to cause the most propagandized disease in history to disappear merely by changing its name. In the 1950s, troubled nations were targeted for “field trials”; Northern Ireland, Siberia, Cuba, the Congo. Modern polio only exists in troubled nations, or rather, nations with whom there is trouble. In 2005, that proved to be Muslims anywhere, particularly in Africa, and the Amish in America. Cooperative nations, allowing millions upon millions of their children to receive polio vaccines, are also the beneficiaries of outsourced industry and international funding. Soon they’ll share in the many-faced diseases of polio and its treatment, not just the ‘wild-type’ Acute Flaccid Paralysis or the vaccine induced Guillain-Barre syndrome, but the gnawing decay of neuro-muscular degeneration and cancer. Read this case of “imported” polio into Australia by a 22-yr old Pakistani man who had been vaccinated as a child with 3 doses of the Sabin OPV, diagnosed with MRI! Polio is caused by radiation and chemicals. There are many viruses detected in the “disease”. Did you ever wonder why polio was a problem in the 1950s, or why the United States was so hard hit? Graphs and timelines, documents and testimonies at www.polioforever.wordpress.com demonstrate the correspondence of polio with atomic weapons. Was the Polio Vaccine a Radiation Experiment? In January of 1947, a new “study” in medicine was organized called Health Physics which is defined as “a highly specialized branch of Radiology…to make a study of radiation problems and devise means of preventing radiation damage…” www.gwu.edu/~nsarchive/radiation/dir/mstreet/commeet/meet3/brief3.gfr/tab_f/br3f1h.txt This link (if it works) refers to a document in the National Security Archives. The military medical staff that had overseen the Manhattan Project reorganized in the era of Nuclear Testing and developed Health Physics to examine the effects of fallout and industrial use of radioactive materials. At that time in 1947, the document states, “many critical problems of far-reaching scope remain to be solved. Information concerning the method of production of these injurious effects in body tissues is almost completely lacking. 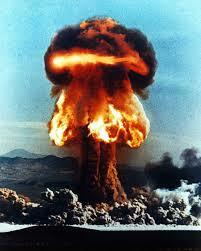 No methods are available which might stop or delay the development of radiation injuries. 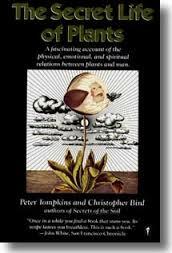 No therapeutic measures are at hand….Such problems relate to the fundamental nature of living matter…”. …and… “Feeding experiments using radioactive materials in the foods”… “…methods of determining the amount of plutonium, polonium, uranium, etc. that are fixed in the body” and to “bring to light entirely new problems with unknown hazards and unpredictable safeguards”… “Large scale biological work is mandatory“. In 1953, seven years after drafting the Health Physics document, the secret Wilson Memorandum shows the government finally giving itself permission to experiment on the population, despite the many decades of doing so less officially. The field testing of the Salk “IPV” vaccine began in 1953. This followed the “gamma globulin trials” of 1951 in Provo, Utah. In my article, “Polio, Then, Now and Forever”, I made a partial case for the precision of the down-wind gamma globulin trials coordinated with the Nevada Test Site series called “Buster-Jangle”. The continuum of ongoing research has shown me even more precise coordination with nuke tests that followed and the specific will of the experimenters to persist under the heading of Health Physics. 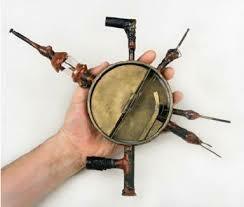 Future articles will explain and illustrate this vital connection of “Operation Polio”, as I call it, to the use of nuclear weapons and the elaborate activities of the military-medical complex to cover it up. The genetic future of the Earth and its inhabitants is being changed by avarice and design –a crisis of immediate and underappreciated proportions. Over one hundred years of radioactive and chemical abuse has altered the sensitive biological relationships of interdependent species and set a course of sickness within complex lifeforms such as ourselves. Articles, news, and commentary posted here seeks to address the background of this change and the real causes of human disease. Forewarned is forearmed. Please peruse the research on this site and consider it carefully. Our biological clock is ticking.